What is productive? Broadly speaking it means effective, providing with the best results and benefits with minimum efforts, time spent on it, and expenses. When we speak of the productivity software there is slightly different meaning. Productivity app is used for producing information like music or video, databases or paintings. Thus, it makes a process automatic and improves the result which can be achieved by a man. So, if you want to manage your time, learn how to get things done faster and get higher quality. 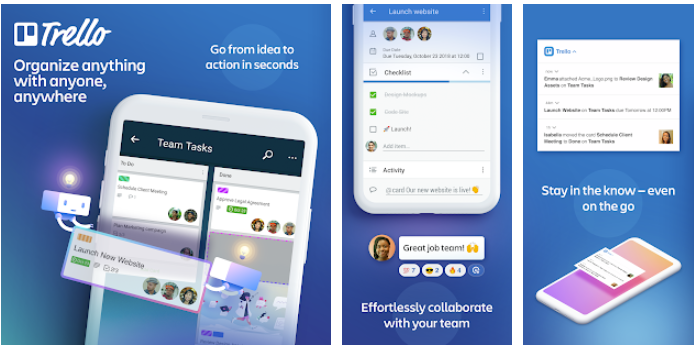 In 2019 developers have suggested new solutions ready to help users achieve their goals in a better way. We are going to discuss only some of them being worth your attention from our point of view. So, let’s find out how to make a job easier. If you are involved in project management, you will certainly need to reduce stress and arrange all information in order. Trello suits your requirements perfectly. This application is very visual that is why you will not face any difficulties with navigation and controls. Everything is explained on the screen. You can divide your project into tasks and regard them separately arranging cards in accordance with important criteria – time, for example. Make several columns with tasks which should be performed and those which are completed. Now, that’s a communication app, which can be used on iOS, Mac OS and Windows in addition to Android. If you have a lot of meetings and negotiations, you will need this software facilitating collaboration. 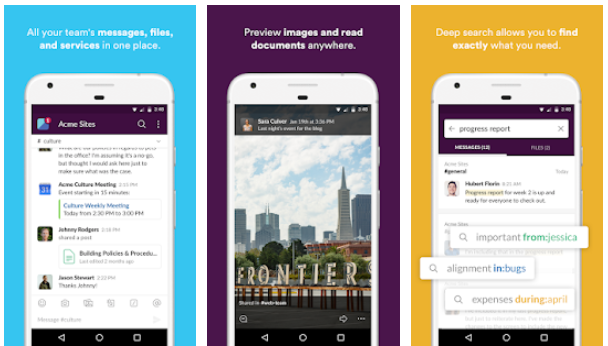 Slack organizes any office communications in a neat manner sending your messages to specified e-mail addresses. Moreover, mistakes are possible, text can be lost or just missed in heap of other correspondence. You will get a perfect searchable system where everything is in its proper place. There are private and public channels. Apply them for a particular project or every department and client separately. Participator can join or quit conversations without interrupting a process. The app also permits third-party service integration. This is an application allowing you to save your time. It connects all devices used in your network and interacts with them without Internet connection and tracking. Being able to send files of any format to several devices, it does it with high accuracy and without any restrictions. 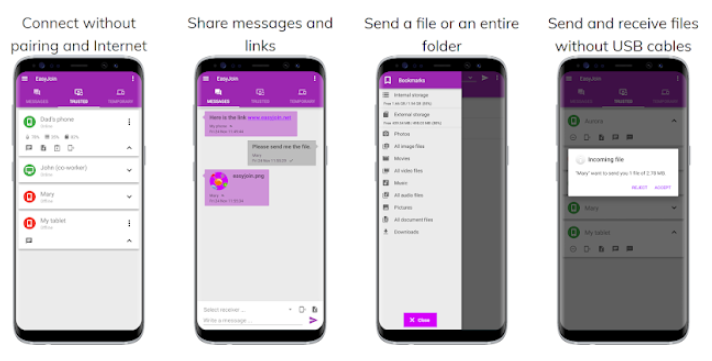 You can share notifications from a computer to a smartphone, send links and direct text messages to several devices. If they are offline, they will get the information anyway. The app is protected in a proper way - end-to-end encryption provides reliable safety. If you are involved in investing, you certainly need a tool to track the state of your capital and create records concerning your spending. Personal capital is exactly what you are looking for. It is free and easy to use for simple budgeting or retirement saving. You can sync all your bank accounts with it and find hidden fees you haven’t noticed before. 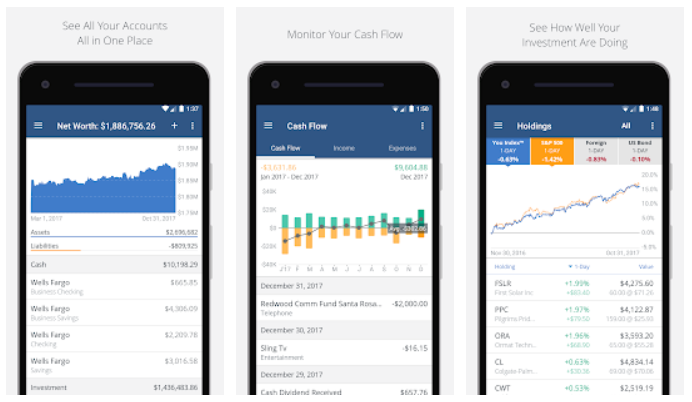 You are suggested to view a convenient dashboard with your income, expenses, cash flow and plan for your future budget or investments. 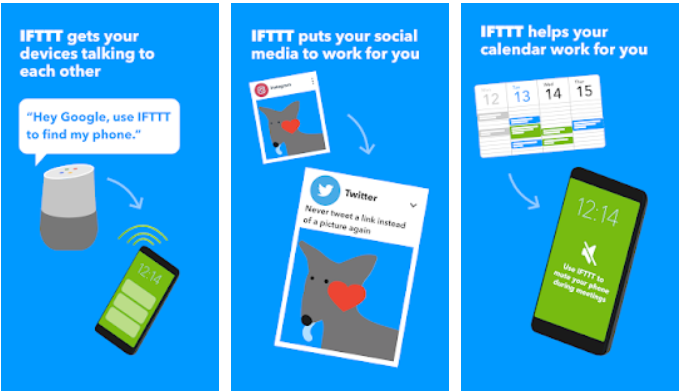 IFTTT (standing for If This Then That) is one of the best autonomy apps developed for Android in order to cope with repetitive and routine tasks. The idea is brilliant, and the implementation is polished. The app is able to do a lot of things automatically. It wishes your friends a happy birthday, creates a list of your appointments taking information from emails, adds songs from your favorites among YouTube videos, sends reminders, and so on. You will know the weather forecast for tomorrow from a message sent to your e-mail. There are a lot of other useful options. Those applications will actually work for you making your everyday life easy and well-done. You can even start developing your own productive habits when applying them. Your mind will think differently – faster and in the best way possible.